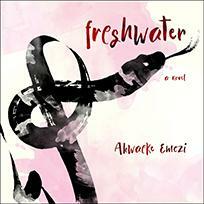 An extraordinary debut novel, Freshwater explores the surreal experience of having a fractured self. Akwaeke Emezi is an Igbo and Tamil writer and artist based in liminal spaces. She won the 2017 Commonwealth Short Story Prize for Africa. Her work has been selected and edited by Chimamanda Adichie, and published in various literary magazines, including Granta. Freshwater is her debut.